A COLLECTION WAS HELD AT SAINSBURYS IN PULBOROUGH ON WEDNESDAY 4th FEBRUARY FOR WORLD CANCER DAY. IN JUST 3 HOURS £50.42 WAS DONATED. MANY THANKS TO ALL. 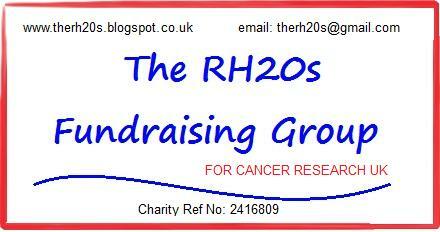 THANK YOU TO EVERYONE WHO TOOK PART IN EVENTS, TO THE BANDS WHO KINDLY WAIVED THEIR FEES, TO ALL WHO DONATED AND SUPPORTED THE RH20s DURING 2014.